Webb’s AC had a very good turnout for their match on Sunday at Kingsland Fishery. Anglers were spread across both the Silver Fish and Small Carp Lake, so there were two slightly smaller but still very competitive matches. Leading the way on the Silver Fish Lake was Sandra Knevett on peg 15 with 50lb caught on the feeder with pellet. Second on the lake with 34lb 12oz was John Crouch, who caught on the pole with maggot, then came Gordon Harmer on 17lb. Over on the Small Carp Lake it was Cameron Stokes who won with 82lb 10oz of carp alternating between the pole and feeder. Phil Jones came second with 78lb 1oz, catching on white pellet and sweetcorn, with Colin Clark, third on the lake on 72lb 15oz. 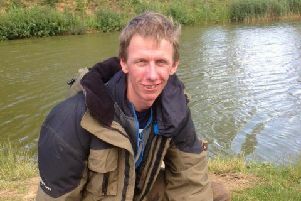 In the latest Buttonhole Fishery qualifier it was John Bishop going through to the grand final later in the year after topping yet another strong field with 114lb 12oz from peg seven. He went all out for the win right from the off fishing the long pole over to the island feeding small pellet and fishing pellet or sweetcorn on the hook. Second was Steve Poole with 100lb 4oz, followed by Roger Phillips with 67lb 15oz. Once again the Castaways anglers were back at Biggin Lake for some more silverfish action and the venue did not disappoint. The top three were Paul Dotchin (23lb 6oz), Chris Gale (21lb 4oz) and Mel Saggers (18lb 10oz). The Peterborough&DAA AGM will be held at Fletton Ex-Servicemens Club on Thursday April 18 at 7.30pm. Admission and voting is by production of a valid current membership handbook only.